Built for performance and show, the HPS Black cool ram air intake with heat shield for 2004 Ford F15.. Built for performance and show, the HPS Black cool ram air intake with heat shield for 1997-2003 For.. Built for performance and show, the HPS Black cool ram air intake with heat shield for 1997-2004 For.. Built for performance and show, the HPS Black cool ram air intake with heat shield for 1997-1999 For.. Built for performance and show, the HPS Black cool ram air intake with heat shield for 1998-1999 Lin.. 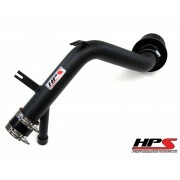 Built for performance and show, the HPS Wrinkle Black cool ram air intake for 2007-2009 Toyota FJ Cr.. Built for performance and show, the HPS Black cool ram air intake kit for 2010-2014 Toyota FJ Cruise.. Built for performance and show, the HPS Black cool ram air intake kit for 2010-2017 Toyota 4Runner 4.. Built for performance and show, the HPS Wrinkle Black cold air intake kit for 2000-2004 Volkswagen J.. Built for performance and show, the HPS Wrinkle Black cold air intake kit for 2000-2005 Volkswagen G..